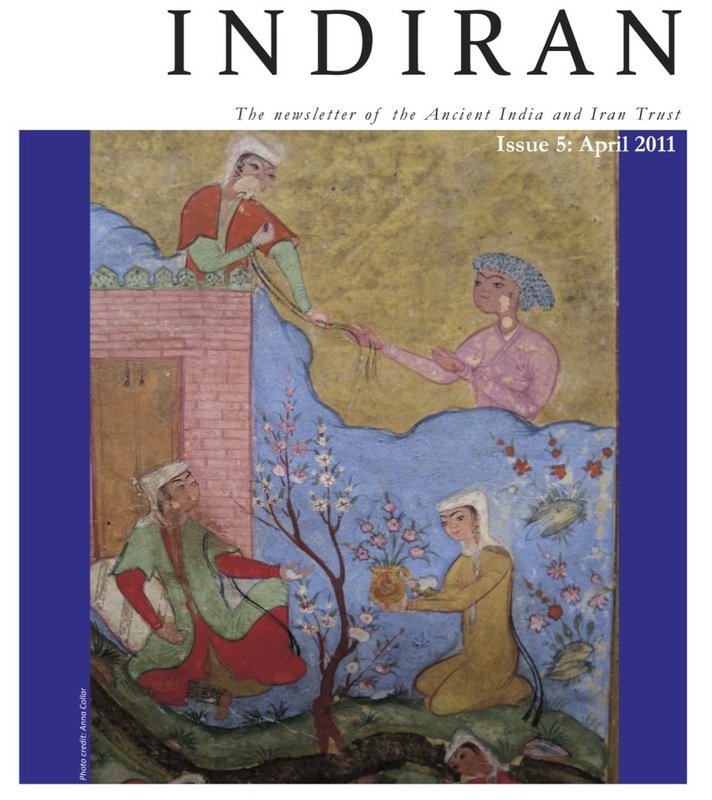 A new issue of the Ancient India and Iran Trust’s newsletter, INDIRAN, is now available. This issue includes an account by Bi Bo, visiting scholar from Renmin University of China, Beijing, of her work on Sogdian manuscripts from Khotan, Xinjiang. Ian Proudfoot, Australian National University, describes exciting finds of unique Malay printed books. Deborah Sutton, University of Lancaster, examines the Hindu temple in terms of political and cultural encounter during the nineteenth and early twentieth centuries. The newsletter also includes reports of a joint presentation by Annabel Gallop and Venetia Porter which accompanied their travelling exhibition ‘Lasting impressions: the world of Islamic seals’, Frantz Grenet’s Bailey memorial lecture ‘The rediscovery of the court culture of the Qarakhanids’, and events held in Cambridge to celebrate 1000 years of Firdawsi’s epic poem the Shahnama. Congratulations on a splendid new edition of Indiran – full of interest and colour.